Why no expressions of love for POTUS from GOP? I have one more takeaway from this past week’s congressional hearing involving Michael Cohen, the former friend and fixer for Donald J. Trump. Cohen sat before the House Oversight and Reform Committee and called the president a “racist, con man and a cheat.” He blistered Trump with a series of allegations involving campaign spending violation, tax fraud, potential conspiracy to collude with Russian officials and a host of other matters. The House panel that heard Cohen’s remarks. Democrats asked him to elaborate on his allegations. The Republican response was most instructive. The GOP members on the committee did not defend the president. They did not stand up for his morals, for his ethics, his behavior. Instead they focused their fire directly at Cohen. They pointed out time and again that Cohen was an admitted liar. They sought to remind us that Cohen is going to prison for pleading guilty to lying to Congress. They sought to shred his credibility. Of course Cohen is not a good guy. He is a liar, even though he proclaimed that he is not — despite having admitted that he lied to Congress. Go figure, will ya? The point here is that congressional Republicans on the Oversight and Reform panel did not bother to defend the guy outwardly, verbally and with any sense of sincerity. They didn’t say that the president is an upstanding man of high moral character; they didn’t stand up for him as a dedicated public servant. They sought instead to divert our attention away from what their witness was telling them. How come? Is the president’s conduct, um, indefensible? 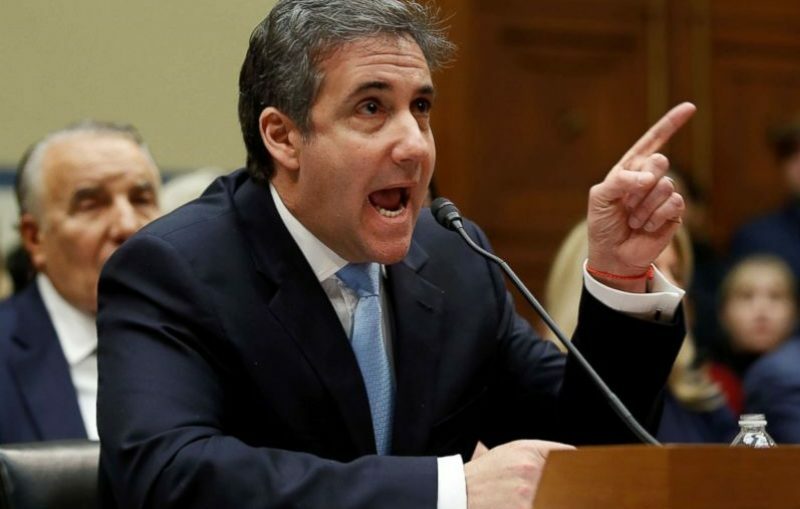 Michael Cohen, the most listened-to congressional witness in recent memory, offered a compelling statement today at the end of his day of interrogation by the U.S. House Oversight and Reform Committee. That sounds like a man who has lost damn near everything. Therefore, had nothing to lose today by testifying before the committee. He also had little, if anything, to gain. Cohen is heading to the slammer in a few weeks. He’ll have to spend three years in federal prison for admitting to lying to Congress. He admitted to lying, but then added — rather ridiculously, in my view — that “I am not a liar.” Actually, he is a liar. That, however, is not the point of the man’s testimony today. I believe he is capable of telling the truth and I also believe he did so today. Michael Cohen is about to surrender a great deal. His reputation and his honor have been shattered by what he has admitted to doing. That all makes me believe that what he said today about the president of the United States was the truth as he understands it. I do believe he and I understand the truth in the same manner. Republicans on the House Oversight and Reform Committee today called Michael Cohen everything but the spawn of Satan himself. Cohen, the former lawyer and fixer for the president of the United States, spent a full day talking to the committee about Donald Trump. Republicans weren’t in the mood to listen intently to what Cohen had to say. They called him a liar repeatedly during the day. Cohen has acknowledged as much already. But Cohen did say something that should have given the GOP committee members some pause in their attack on Trump’s former confidant. Cohen said today that he has seen “no evidence” of collusion between Trump and the Russians who attacked our electoral system in 2016 and who had dirt to deliver on Hillary Rodham Clinton. Now, what does that mean? It doesn’t mean that there is no evidence. Cohen’s statement merely acknowledges that he hasn’t seen it. He has no personal knowledge of collusion. Cohen doesn’t speak for special counsel Robert Mueller, who reportedly is wrapping his lengthy investigation into alleged collusion. Cohen’s lack of personal knowledge of collusion, though, does buttress his credibility as a witness before the House panel. Committee Chairman Elijah Cummings did warn Cohen at the start of the hearing that lying to the committee is a crime and asked Cohen if he is aware of that fact. Cohen said “yes,” he is aware. So, he spoke the truth quite clearly about his lack of personal knowledge of collusion. I also believe that his acknowledgment of such gives the rest of his testimony today more credibility than committee Republicans were willing to give. However, I am not going to accept Cohen’s lack of personal knowledge of collusion as a declarative statement that collusion did not exist. I’m waiting for Robert Mueller to provide that testimony. If that is what he has learned. How do these politicians get away with this? Get a load of this picture, taken today at the House Government Oversight Committee grilling of Michael Cohen, the former friend/fixer/lawyer for Donald J. Trump. 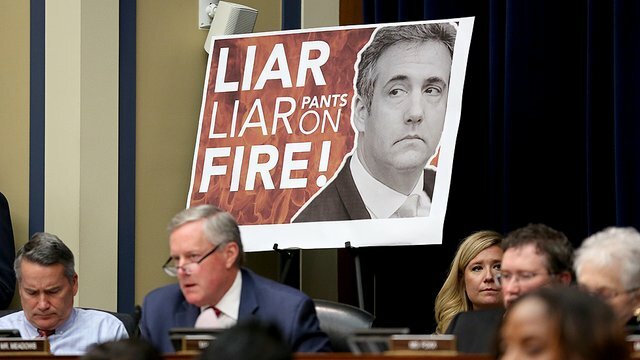 Committee Republicans are attacking Cohen as a liar, a convicted liar at that, a guy who’s headed for the slammer in the very near future. They don’t believe him when he says he’s telling ’em the truth about what he knows about Trump. What astounds me to the max is how these individuals can take themselves seriously, given that their party’s chieftain, the president of the United States, is arguably the most egregious liar ever to take up residence in the White House. Donald Trump lies to our faces. He lies when he doesn’t have to lie. He says things he must know are false, but he says them anyway. My amazement stems from Republicans’ inability or unwillingness to recognize what the president has done while seeking the nation’s highest office and while has served in it. He has lied repeatedly, gratuitously and without regard for the consequences of what his lying has done. And so now they are attacking Michael Cohen, who has acknowledged his guilt as a convicted felon, an admitted perjurer, as a liar? Give . . . me . . . a . . . break! I do not believe it is an overstatement to presume that those of us who watched acting Attorney General Matthew Whitaker’s skewering on Capitol Hill has provides us with a harbinger of what Donald Trump can expect for the next two years. Whitaker spent most of the day today in front of the House Judiciary Committee, which was conducting an “oversight hearing” on the Department of Justice. He got pounded. He stonewalled the committee in return. It was an angry day of recrimination. Now that Democrats control the House of Representatives, their caucus has assumed committee chairmanships. I believe that Democrats, who became fed up with Republican resistance to asking difficult questions of the Trump administration, are seeking to release some of that pent-up anger. We saw it on full display today as Whitaker appeared before the Judiciary Committee. I also want to propose that this is not a bad thing. 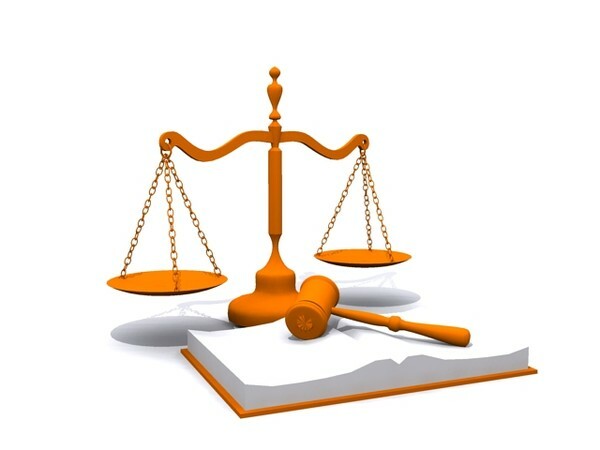 The U.S. Constitution grants Congress a measure of power that is equal to the presidency; throw in the federal courts and you have three equally powerful government branches. Democrats challenged Whitaker; Republicans on the Judiciary panel challenged Democrats, who pushed back hard on the “points of order” that their GOP “friends” were asserting. It wasn’t a pretty thing to watch today as Whitaker and Judiciary panel Democrats clashed openly. We might as well get used to it, though, ladies and gentlemen. Indeed, once the special counsel finishes his probe of alleged collusion between the Trump presidential campaign and the Russian government, there likely is going to be even more rhetorical grenades being tossed. It won’t be pretty. Then again, representative democracy is a damn ugly form of government. However, as the great Winston Churchill noted, it’s far better than any other governmental system devised. GOP caucus leaders render Rep. King useless . . . good! 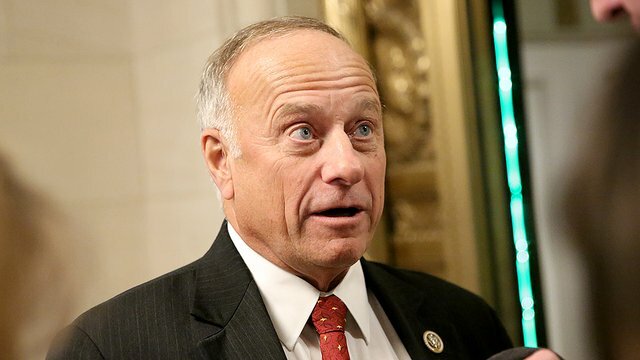 A resignation might not be too far off for U.S. Rep. Steve King, the Iowa Republican with a big mouth but, more importantly, repugnant views about white supremacy and white nationalism. The House of Representatives GOP leadership has just stripped King of all his committee assignments. He will not serve on a single committee during the 116th Congress, a move that renders him essentially useless. He’ll get to vote on issues that come to a full floor vote, but he will not have any substantial input in crafting legislation that committees prepare prior to that vote. No kidding? He didn’t understand it? Those terms became “offensive” when groups that carried those labels lynched African-Americans and brutalized other non-white, non-Christian Americans. This idiocy is not the first time King has been linked to these hideous groups and their beliefs. The GOP House leadership has had enough of their colleague. Now he ought to take the next logical step, having been stripped of any committee assignments in the People’s House. Steve King should resign and go home. 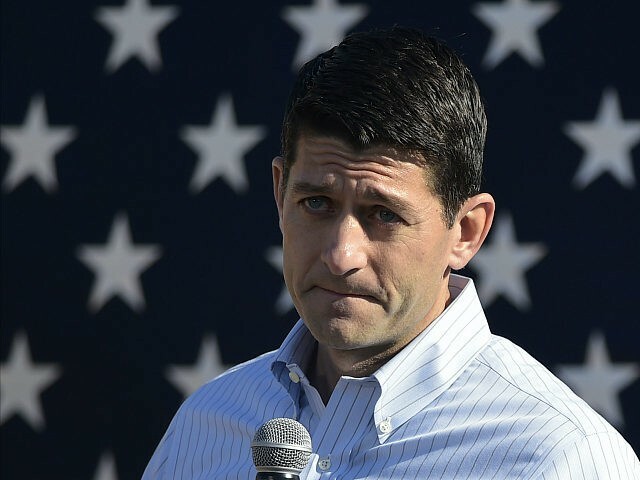 I had high hopes for Paul Ryan when he was dragged kicking and screaming into the speakership of the U.S. House of Representatives. The Wisconsin Republican reportedly didn’t want to become the Man of the House when John Boehner resigned his speakership and left public office in 2015. Ryan had to be talked into it. He took the job. I was hopeful that this policy wonk, a serious young man who knows the ins and outs of public policy would be able to manage the House effectively and work to enact meaningful legislation. I had hoped he could work effectively with the Democratic minority in the House chamber. Then I had hope that after Donald Trump was elected president in 2016 that he could resist some of the new president’s more bizarre impulses. Well, he didn’t deliver the goods. He didn’t work well with the other party. He certainly didn’t resist the president. He became a Trump Man. Not a Republican Party Man. But a Trump Man. He became the president’s enabler. Ryan ran on the 2012 GOP ticket for vice president. He and Mitt Romney lost that election to President Obama and Vice President Biden. He went back to the House, resumed his post as Budget Committee chairman. Then fate — and Speaker Boehner’s frustration with the TEA Party wing of his party — delivered him to the House’s highest post. If only he could have shown a bit of spine as the Republican In Name Only president proceeded to hijack a great political party. There were faint signs of spine-stiffening, such as when he would offer mild criticism of some crazy Trump utterances. But then he would roll over as Trump pushed through the House a tax cut that over time will benefit only the wealthiest of Americans. Speaker Ryan gave a farewell speech today, bidding goodbye to the House where he served for two decades. He lamented the “broken politics” that afflicts the House. Uh, hello, Mr. Speaker? You helped break it. I, of course, live far away from Janesville, Wis., from where Ryan hails. However, given that he managed the legislative body that approves legislation that affects all Americans, I have a significant stake in the job he did. Thus, I shall declare that I won’t miss Paul Ryan. Term limits for congressional leaders? Why not? I dislike the idea of term limits for members of Congress. However, the idea of imposing such limits on congressional leaders is another matter. To that end, the next speaker of the House of Representatives is on to something constructive. Nancy Pelosi, the leader of the House Democratic caucus, has agreed to serve only two terms as speaker once she takes the gavel in January. She is set to favor a vote among congressional Democrats to impose similar limits on committee chairs, following the lead set by their Republican colleagues. I like the notion of imposing those limits on leadership, despite my aversion to mandatory limits on the number of terms House members can serve on Capitol Hill. I have said all along that we already have limits on terms; they occur in the House every two years and every six years for senators. The 2018 midterm election demonstrated quite vividly the power of the electorate to give incumbents the boot. Congressional leaders, though, aren’t necessarily beholden to the voters for the power they obtain in the halls of Congress. They are beholden to their fellow lawmakers. Why not enact mandatory regular changes in committee chairmanships — as well as the speaker of the House? It’s a good call from the new speaker. In 2017, Amarillo voters had the good sense to elect an entirely new City Council, given that the previous one had become so dysfunctional. Three of the new council members are women, which on a five-member governing body means its majority comprises females. I commented on my blog at the time about that marvelous turn of events and a couple of soreheads chastised me, suggesting that the presence of a female-majority council didn’t mean a damn thing will change. Guess what. Now we’re about to welcome more than 100 women to the U.S. House of Representatives. It’s the most ever for Congress’s lower chamber. It’s all the talk in Washington as these individuals get set to take their seats. The vast majority of the newly elected women are Democrats, so they constitute part of that so-called “blue wave” that swept over Congress, flipping the House from Republican to Democratic control. I’m wondering now: Where is the thought that these women won’t make a difference, that they won’t have an impact on the flow of legislation, or the topics to be considered? One of the returning women, Nancy Pelosi of California, is poised to become speaker of the House. She’s “killing” her intraparty foes with promises of committee chairmanships and prioritizing legislative items to their liking. That’s how you play the “inside game” and Speaker-to-be Pelosi is proving to be pretty damn good at it. I am one American voter who is glad to see women making a greater impact, leaving a bigger and deeper footprint on the nation’s legislative agenda. I remain committed to the notion, too, that a female-majority City Council in the city of my former residence is going to make a positive difference in the community’s future. Something happened to U.S. Rep. Joe Crowley’s inexorable march to the chair occupied by the speaker of the House of Representatives. He got beat! In a Democratic Party primary no less! 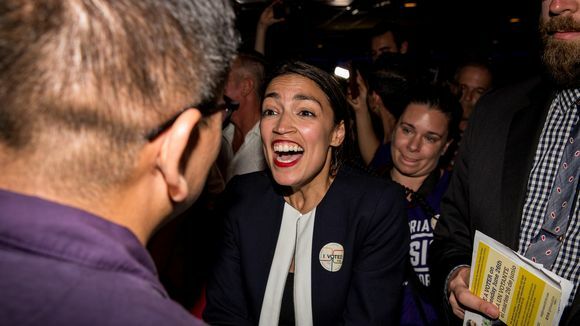 His conqueror is Alexandria Ocasio-Cortez, 28, a first-time political candidate, a self-proclaimed “Democratic socialist,” a community activist who worked the neighborhoods of Queens and The Bronx in New York City. Crowley had poured lots of money into this race. He outspent Ocasio-Cortez by about 18 to 1. All that money went for naught, given that Ocasio-Cortez beat Crowley by double digits Tuesday night. One problem emerged with Crowley’s re-election effort, just as it did in 2014 when Republican House Majority Leader Eric Cantor lost his Virginia GOP primary contest. It turns out Crowley was more interested in his own political ambition than in the problems facing the constituents who sent him to Congress in the late 1990s. 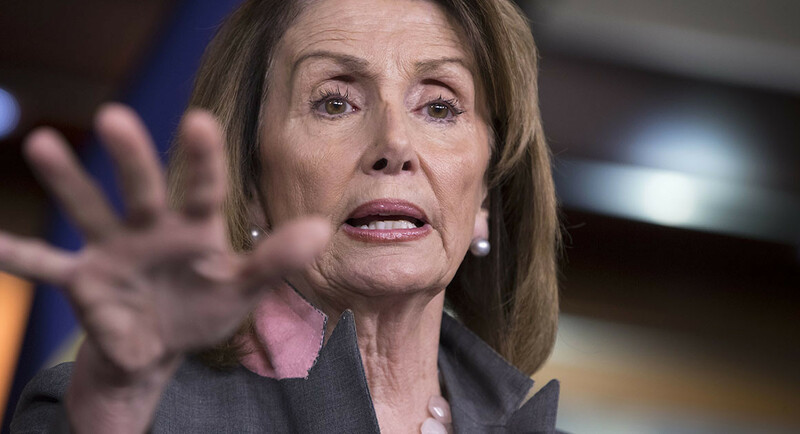 He wanted to push Democratic House Leader Nancy Pelosi aside; he kept yapping about the need for “new leadership” among the House Democratic caucus. His hope has been that Democrats could retake the House this year and he — not Pelosi — would be chosen as the next speaker of the House. Did he care about the home folks? They spoke Tuesday night and delivered their verdict that, nope, he didn’t give a damn about them. Is there a lesson here. Yep. ‘Fake news’ a product of Trump himself? Well, golly!